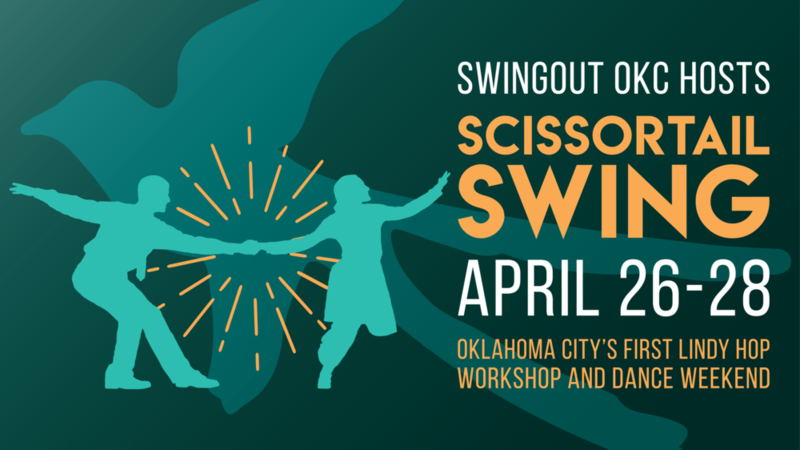 Hosted by Swingout OKC, Scissortail Swing is Oklahoma City's first Lindy hop workshop and dance weekend! Whether you have already gotten to know us or haven't met us yet, come to OKC and let us share our community with yours! Watch this space as we release information about our instructors, bands, venues, and competitions! Full weekend passes, social passes, and beginner passes are available! Email scissortailswing@gmail.com with any questions! 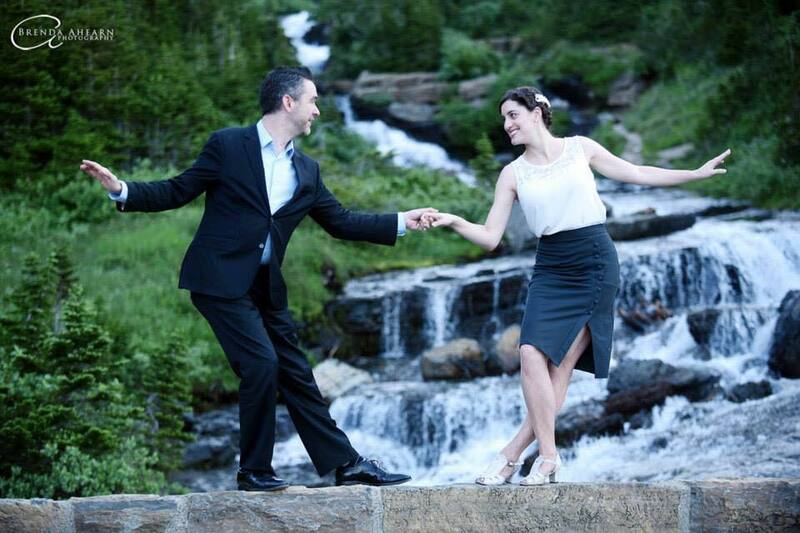 Peter and Lauren are two dynamic instructors with over thirty years of teaching experience between them. Based in Southern California, they are highly in-demand, sharing passion for the great classic dances of the Swing Era. Their classes and workshops are noted for their clarity, humor, and high spirits. Read more about each of them on their website! Samantha and Alex live in Austin and have been dancing since 2009. 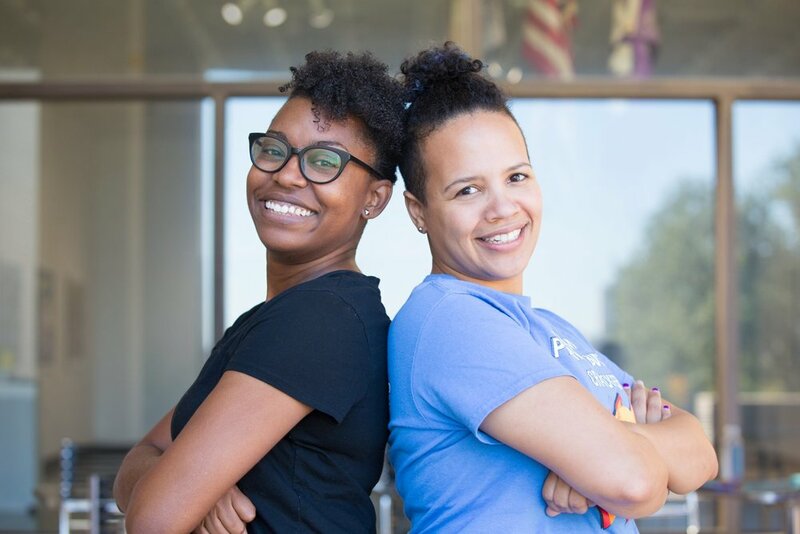 In their years teaching weekly classes and workshops across Texas, they’ve grown to value themes such as follower empowerment, how to interact on the dance floor, and how to engage your partner to build something as a team. Their goal in classes isn't only to teach their students how to dance better—it's to teach them how to dance better together. They believe class time is best spent on things that you can't learn from YouTube: how to share responsibility for the dance, how to speak if you're following and how to listen if you're leading, how to rely on yourself and your peers for improvement instead of teachers, how to get the most out of dancing to a live band, and the list goes on. What began as a casual attempt to try something new quickly turned into a life-consuming passion. In the five years since she dove into lindy hop, Michelle has managed to attend at least six swing events per year, teach regularly in the Tulsa community, and join the board for the non-profit Vintage Swing Movement. She loves the physical creativity inherent to lindy hop, and its roots as a social dance. Michelle aims for her students to leave with a firm foundation in rhythm, momentum, and the fundamental shapes of swing dance. She emphasizes comfortable body movement and strong rhythm over the look of the steps. As a feel-food dancer, Michelle hopes to inspire other to get on the social floor no matter what their experience and to be unafraid to ask anyone, of any skill level, to dance. She also encourages dancers not to take themselves too seriously, and will back that up with antics and loud noises. Laurel fell in love with swing music nearly three decades before she threw herself into the dance. 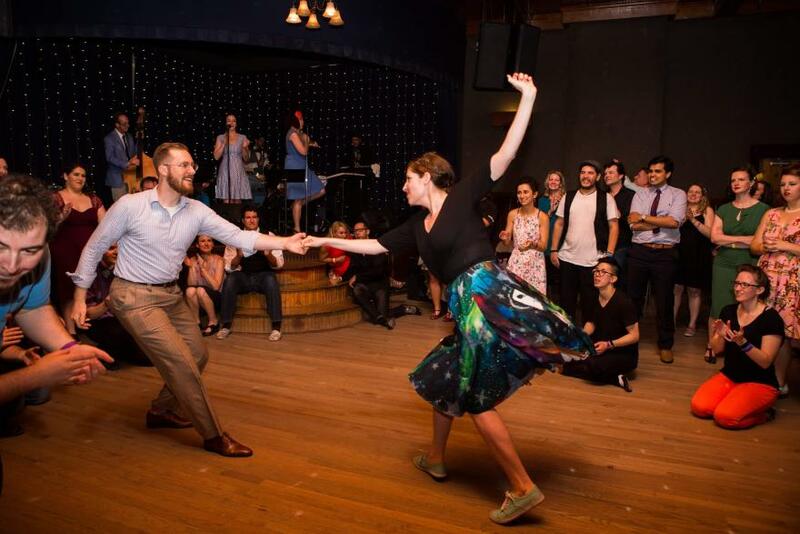 Soon after her first lindy hop crash course Laurel was attending every event she could reach across the Midwest, jonesing for another dance to a live band. Laurel’s background as a teacher and world traveler serves to fuel her passion for learning and teaching swing dance. She nerds out on putting educational theory into practice to better serve her dance students. Her passion for diversity on the social floor helps her encourage dancers to be themselves. Laurel’s goal is to help preserve lindy hop’s roots as a social street dance while re-translating partner roles for continued relevance in modern culture. Start your Sunday morning off right by getting brunch at one of OKC’s top restaurants, Packard's New American Kitchen, dancing to the music of local jazz group and some of our favorite friends, The Savoy Trio, and looking out at our wonderful city from Packard’s rooftop! Even if you’re not coming to the entire weekend of events, you’re welcome to join us! From the serious Strictly Lindy and Mix ‘n Match, to the truly ridiculous (AND SECRET!) team competition, the Seven Minute Challenge! And an exciting Ambimatch! Don’t worry about choosing your Saturday classes! You will be assigned a group and you will rotate though a pre-determined schedule! Do, however, carefully consider which Sunday electives you would like to take! Peter and Lauren take a look at the fundamentals and offer insights into making everyone’s dancing more comfortable, more fun, and more adaptable. Level up your social dance!! Smart Styling - Fancy Feet! Everyone loves cool footwork, and in this class, Lauren & Peter share some of their favorites and ways to make them your own. Smart Styling - Body Aesthetics! Part of what makes swing dancing amazing is the chance to express YOURSELF. This class puts the focus on ways to use your whole body to be more YOU. This hour is all about responding to the music like a jazz musician, letting your movement be a part of the song and the conversation with your partner. We're going to embrace the vulnerability that comes from dancing in public. This may be competitions, performances, or just a social dance floor. We'll cover it all with specific techniques, lots of practice, and jams. In this class we'll approach vulnerability from many different angles: dancing slow, unpartnered, and more! Everyone will have something to contribute. We're going to embrace the vulnerability that comes from dancing slow. We'll learn to use our partnership to feel more comfortable dancing at these tempos. Dancers who signed up for the baby bird pass, or who bought a full weekend pass but let us know at the registration desk that they would like to be a baby bird, get to participate in two hours of focused beginner instruction from Michelle and Laurel! If you're new to Lindy hop, but you know the basics of connection and rhythm through swing dancing or another dance style, this class is for you! Over these two hours, you will be taught Lindy hop basics, including that most essential of patters: the swingout! Learn how to enjoy this classic Swing Era dance. This class is great for those who are absolutely new to Balboa, as well as those with experience. This may become a new favorite! We pick up where we left off in Lesson One, building in new moves and movement. With Balboa, there’s no song too fast!!! We're going to embrace the vulnerability of dancing by yourself, partnered solo dancing, and solo jams. Watch, Do, Reflect, Revise. We'll be learning to trust our bodies to figure things out. Amante is an amazing part of the Oklahoma City community and we love dancing to their old standards and jazz music! Talk of the Town is a seventeen piece jazz orchestra that was formed in 1988 as a volunteer organization to keep big band music alive! Our Saturday Social will be at Oklahoma landmark, the Will Rogers Theatre! The unique and classic environment of this venue makes it the perfect place to swing the night away! The Friday night and Sunday night social dances will be held at the home of Swingout OKC's regular Tuesday lessons and social dances! We love our home and can’t wait to show it off! Saturday and Sunday classes will be held at iDance Studio! iDance has 6 dance floors and is a fabulous venue for classes and social dances! Their intent is to ensure that all their students have a wonderful experience in their classes as well as the opportunity to find joy in the art of dance!